It can be challenging, but sometimes fun, to learn how to bring sustainable transport to cities. Photo by Michael Newman/Flickr. Planning an integrated transport network that moves people through cities quickly and efficiently is pivotal for cities to enable sustainable mobility. Few understand just how to difficult this can be, but the new Mini Metro game made by Dinosaur Polo Club is reminding all of us just how complex it is to design a system that meets the needs of all users, even in the virtual world. 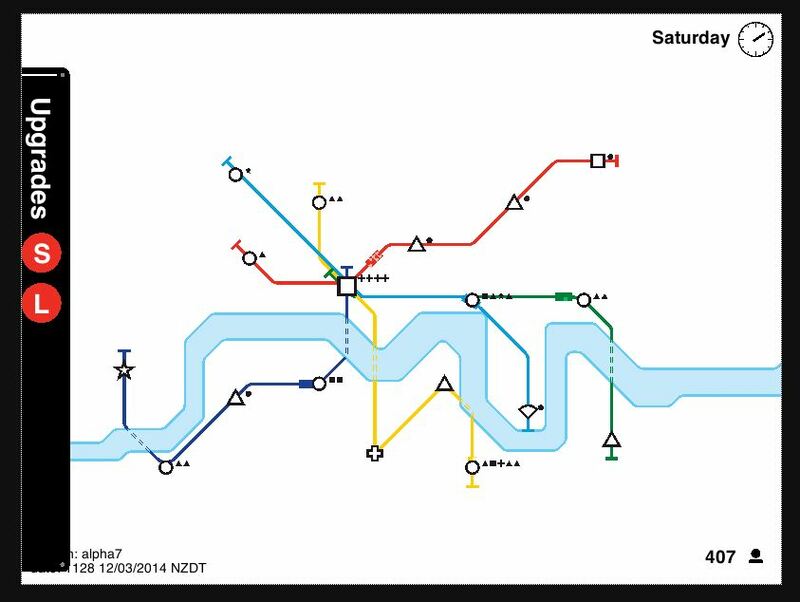 Mini Metro, playable online in its alpha version, allows the user to draw new routes and connect stations in a simulated transport network. As the system grows, the land use types diversify and the number of riders increase, just like in a real city. This makes it harder for users to balance the competing demands for access to all different sectors of the city (uptown, the central business district, and more) with efficient movement through the system. This is much like the tough decisions transport planners must make every day. It is possible to pause the game by clicking the clock in the top right hand corner and restructure lines to meet the growing demand. Building an unlimited number of tunnels is possible; however the train slows down while going through them. The maximum number of stations a line can handle before it loses speed and riders build up is six. Square stations appear at a slower rate, but many riders want to get to them as they represent the downtown central business district. Therefore, try to get all the lines to quickly connect to a square station. All metro lines should go through each type of station at least once. 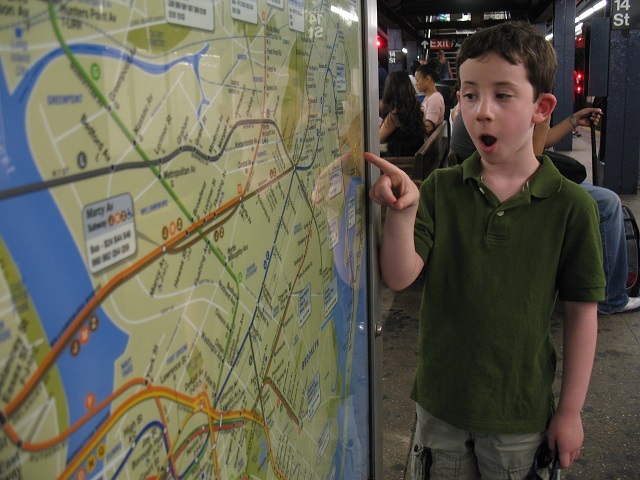 Simulating existing metro maps is not always the most successful technique. Users must balance travel times with ease-of-access in this high-intensity game. Photo by EMBARQ. As days and weeks pass in the game, the user is given the option to choose an upgrade for the system. The difficult choice must be made of adding an extra line, increasing the speed and capacity of a particular line, or increasing the capacity of a station. Just as in real life, it is nearly impossible to please all users while still quickly and efficiently getting everyone to their desired location. Mini Metro expertly reveals the challenges of transport planning in a rapidly changing and growing urban landscape with restricted resources in a way that is fun, albeit without the financial restrictions, zoning laws, and politics that transport planners must contend with. But once you’ve mastered the game, perhaps Mini Metro will inspire some to take on the challenges of real life. The current high score at TheCityFix, held by Vineet John, is 686. See if you can beat him! Special thanks to David Leipziger, Aaron Minnick, and Vineet John for adding their tips and tricks to the above list.